It was another sunny East Manchester day on Monday, so after a bit of back street furniture shopping I obviously had a thirst to quench. 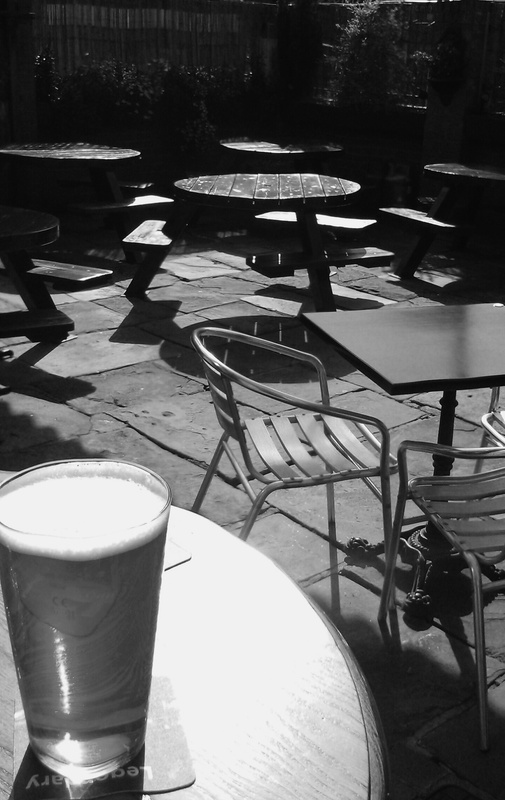 My requirements were simple – golden, cask conditioned ale & outdoor seating, so a quick glance at the sky told me exactly which way to head, the sun would be beaming right into the beer garden of The Caledonia. It’s a great pub, I paid my first visit many years ago & it never seems to change, it’s a proper pub but you can also get good food &, should you need it, a bed for the night. Given the sunshine, I was worried about getting a decent seat in the nice little beer garden at the rear. Pint in hand I made my way outside only to find myself the sole patron, happy as Larry in my own private Idaho, a first class ticket for the best seat in the house, I’m the king of the castle & you’re all dirty rascals etc. etc. For as long as I can remember, they’ve always played an eclectic mix of very cheesy music slightly too loud, today was no exception, it gives it a bit of a holiday vibe so I’ll let them off. 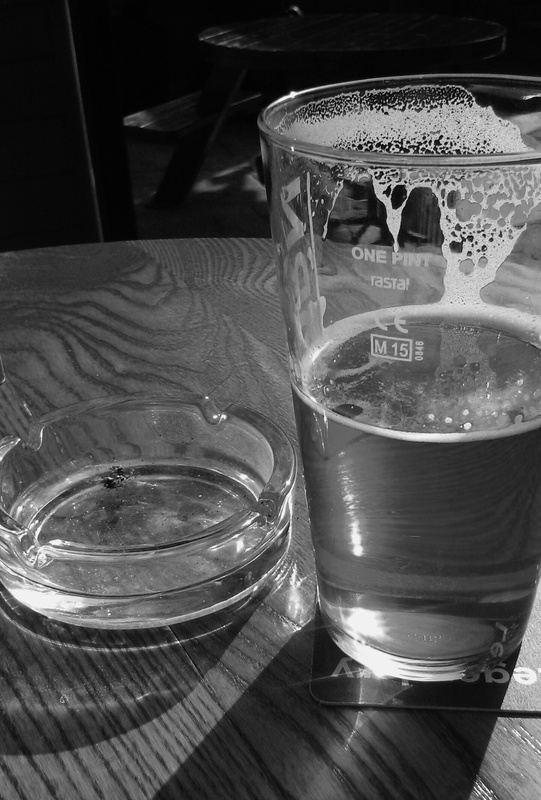 My personal kingdom was soon invaded by other customers though I wasn’t bothered, I like going to the pub on my own but I don’t want to be the only one there do I? By now you’re probably wondering about the free beer mentioned in the title aren’t you? Well, whilst sat in my reverie I posted a couple of smug tweets to make people jealous & a couple of them responded by asking where I was having such fun. This was when I came up with a cunning plan – I go out for a drink, tweet some cryptic clues & photos, first person to guess where I am can come to the shop & collect a bottle of beer (chosen by me) for free. So, follow me on Twitter and keep an eye out, riches beyond your wildest dreams could be yours for the taking (over 18s only) & I get to enjoy a few beers. Nice post Simon and a great idea! Count me in!